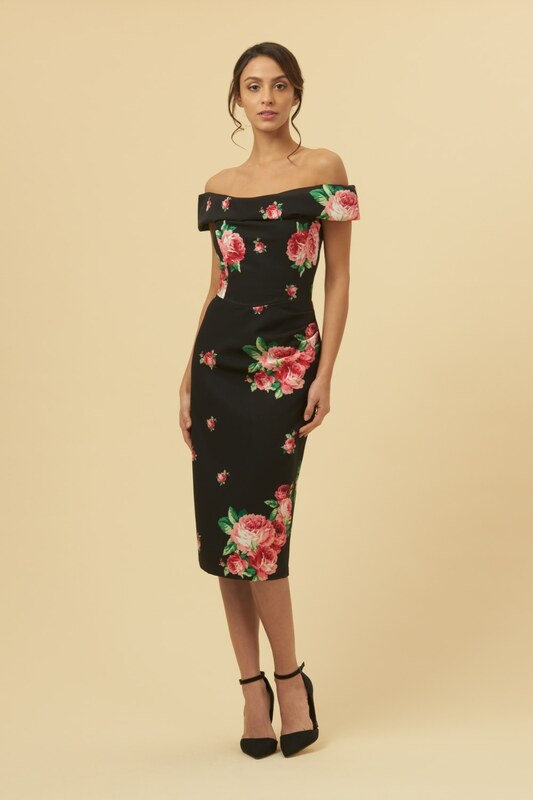 The Thea Lamour Floral Pencil Dress is a striking, signature design by The Pretty Dress Company. Created in a exclusive, vintage inspired print features include; draped off the shoulder neckline, traditional boned bodice and tailored pencil skirt with flattering waist gathers. Other features include; concealed centre back zip and vent split. Fully lined with stretch control lining for ultimate support.